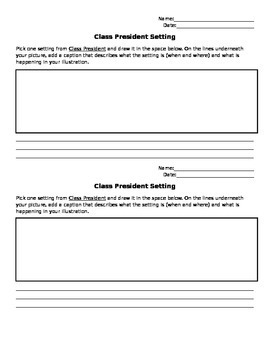 Students use this template to draw a setting and add a caption to describe the setting from the novel Class President. This can be modified to fit other books and/or stories. Great to use for homework, group activities, or an enrichment activity at the end of a lesson.